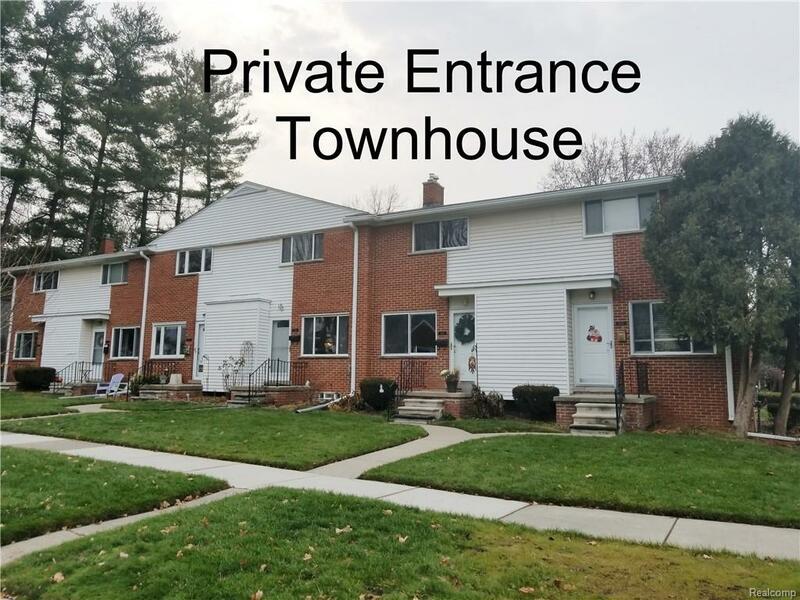 THIS IS A PRIVATE ENTRANCE TOWNHOUSE, ON A BEAUTIFUL RESIDENTIAL STREET IN ROYAL OAK WITH SIDEWALKS. YOU WILL LOVE THE LOCATION, SO CLOSE TO EVERYTHING ROYAL OAK HAS TO OFFER! HARDWOOD FLOORS EVERYWHERE. NEUTRAL DECOR AS WELL. REALLY NICE PRIVATE BASEMENT AND CLEAN, CLEAN, CLEAN! BATHROOM IS UPDATED AND PRETTY! THIS IS A GREAT OPPORTUNITY FOR SOMEONE WHO WANTS TO CALL ROYAL OAK HOME! $160 PER MONTH ASSOCIATION DUES INCLUDE SNOW/LAWN/WATER.